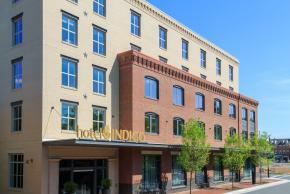 Book your wedding room block at Hotel Indigo ® Old Town Alexandria and celebrate with complimentary gifts from us to you. And ask us about our local partnerships to help create memorable customized wedding gift amenities for your guests when they check in to our hotel. Reach out to us at hotelindigooldtownalexandria@ihg.com or call 703-721-3804 to learn more about the benefits of reserving with us.